Just as I posted on Sunrisers Hyderabad clinching IPL 2016 title by beating RCB by 8 runs in the final and on Sunil Narine's 6 for 27, the best ODI figures by a West Indies spinner, helping bowl South Africa out for 188 and Pollard's unbeaten, run-a-ball 67 sealing a four-wicket win – a good friend of mine, sent a terse message saying, there is life beyond Cricket and there are many sports other than Cricket… true !! – but can you identify this person, while many of us can identify, almost all members of the winning SRH or losing RCB squads…. !!! – still, take a wild guess..
Ali had a highly unorthodox boxing style for a heavyweight, epitomized by his catchphrase "float like a butterfly, sting like a bee". Never an overpowering puncher, Ali relied early in his career on his superior hand speed, superb reflexes and constant movement, dancing and circling opponents for most of the fight, holding his hands low and lashing out with a quick, cutting left jab that he threw from unpredictable angles. Cassius Marcellus Clay, Jr., born in 1942 is no more – and you get to read so much on this legendary boxer, regarded as the most significant heavyweight in the history of the sport. He is one of the most recognized sports figures of the past 100 years, crowned "Sportsman of the Century" by Sports Illustrated and "Sports Personality of the Century" by the BBC. Ali at the age of 22, won the world heavyweight championship from Sonny Liston in a stunning upset in 1964. Ali retired from boxing permanently in 1981 and died in 2016. The bout with Joe Frazier in Manila, known as the "Thrilla in Manila", was held in 1975 in temperatures approaching 100 °F (38 °C). 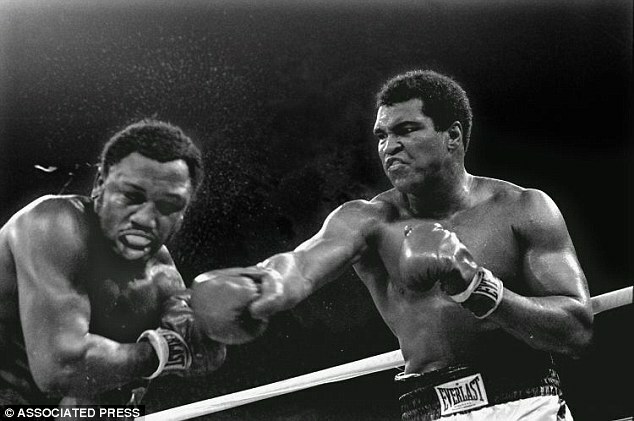 years later, Ali was diagnosed with Parkinson's syndrome in 1984, a disease that commonly results from head trauma from activities such as boxing. Athletics, track events and more specifically the 100M sprint attracts all of us. Usain Bolt won Gold in the 100m Olympic track final at the Beijing 2008 Olympics. Bolt set new world records in both the 100m (9.69s) and 200m (19.30s) Olympic Track events. 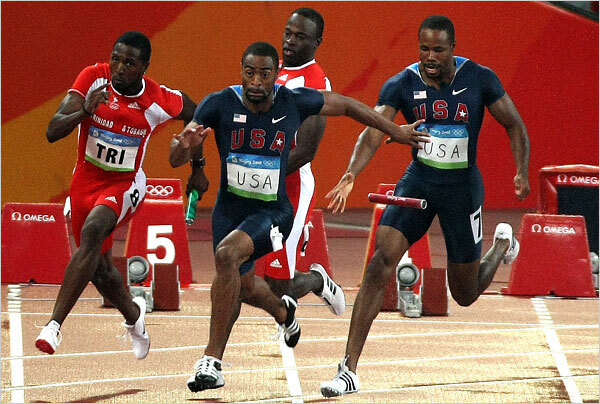 He also sets a 4x100m (37.10s) relay record with the Jamaican team. Bolt became, the first man to win three sprinting events at a single Olympics since Carl Lewis in 1984, and the first man to set world records in all three at a single Olympics. In the 100m relay, his partners were : Nesta Carter, Michael Frater, Usain Bolt, Asafa Powell. You are reading this because, Jamaican Olympic sprint relay gold medallist Nesta Carter has returned a doping violation for a banned stimulant after the re-testing of 454 samples from the 2008 Games, two sources familiar with the case said. The Jamaica Olympic Association (JOA) said on Friday it had received notification from the International Olympic Committee (IOC) that one of its competitors had returned an adverse analytical result but did not name the athlete. The governing Council stated that they wish to keep dopers away from the Olympic Games in Rio de Janeiro [in August] ~ and hence the swift action now !! (coming as it did after 8 years !!) Media reports claiming sources who spoke on condition of anonymity, said traces of methylhexanamine were discovered in Carter’s “A” sample, part of a batch of 454 from the 2008 Beijing Games the IOC ordered to be re-tested. Carter could face sanctions if his “B” sample also tests positive. Neither Carter, who won the 4x100 metres relay along with compatriots Usain Bolt, Asafa Powell and Michael Frater in Beijing, nor his agent replied to repeated requests for comment. Sold as a nasal decongestant in the United States until 1983, methylhexanamine has been used more recently as an ingredient in dietary supplements. The IOC programme of revisiting samples is aimed at using developments in testing techniques to expose traces of drugs that were undetectable in 2008 or 2012. Recalling that Olympics, United States track and field team appeared to hit rock bottom at these Olympics — comically, it was between the men’s and the women’s 4x100-meter relay teams dropping their batons. LaShawn Merritt strolled into the Olympic stadium for what he believed was his moment. Merritt wore his confidence like a shield, fending off the chaos that had enveloped the American relays, holding off any thought that his country’s team was flailing. Men's relay anchor Tyson Gay, part of the American team that won the relay at last year's world championships, dropped the baton from third-leg runner Darvis Patton. The IAAF Diamond League is an annual series of track and field meetings held from 2010 onwards, designed to replace the IAAF Golden League, which was held annually since 1998. While the Golden League was formed to increase the profile of the leading European athletics competitions, the Diamond League's aim is to "enhance the worldwide appeal of athletics by going outside Europe for the first time. 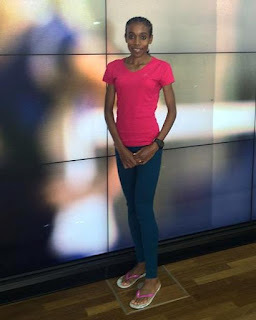 The woman in picture at first, Ethiopia’s Almaz Ayana missed out on the women’s world 5000m record by just over five seconds at the IAAF Diamond League meeting in Rabat two weeks ago and came, agonisingly, even closer in Rome as she stopped the clock at 14:12.59 on Thursday just 1.44 off the mark set by her Ethiopian compatriot Tirunesh Dibaba eight years ago. It was an IAAF Diamond League record. It was a meeting record at the Italian one-day showpiece. It was the fastest time run this year. It was the second fastest time ever run. But, despite her dazed smile in the aftermath of achieving all those accolades, it wasn’t what Ayana wanted. As the last pacemaker dropped away with seven laps remaining, Ayana was in a race of her own, more than half-a-lap clear. She was running easily, no strain showing on her face, and passed 3000m in 8:30.43. With three laps left, she clocked 10:48.8. With two left, the time was 11.58.00. An increase in speed on the penultimate lap saw her clock 13:06.5 at the bell. She needed a final lap of under 65 seconds, but couldn’t quite make it. It was a measure of Ayana’s outstanding effort that Kenya’s 2013 world silver medallist Mercy Cherono should register a personal best of 14:33.95 and still be adrift by almost the length of the home straight.